Prior to the start of their 2015 season opener against Belen Saturday at the Mack Chase Athletic Complex, firstyear head coach Phillip Jowers told his Bulldogs to break the huddle with whatever phrase they felt appropriate. “One, two, three: family!” they shouted. It was gratifying to hear for a coach who has, in his few weeks at the helm, been stressing the concept of brotherhood. And the effects showed on the field of play, where the ‘Dogs banded together to post a solid 2-1 victory over the Eagles. “That’s kind of the direction we’re trying to go, working together as a team and having each other’s back,” Jowers said following the contest. “Today, we did a really good job of covering each other. 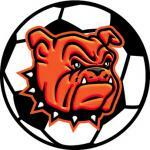 Over the course of summer and preseason workouts, Jowers and his staff emphasized three key elements they want to epitomize Artesia soccer: respect, responsibility and accountability. After the defense fended off a quick start by Belen in the opening minutes of the first half Saturday, Artesia’s midfield and front began to gain control, spending the majority of the final 20 minutes of the half on the Eagles’ end of the field. With 10:36 to go, Cesar Romero was able to put the ‘Dogs on the board, and the 1- 0 lead would hold at the break. Belen would come out firing in the second 40, knotting the game just two minutes in, and the squads effectively matched one other shot for shot from there. 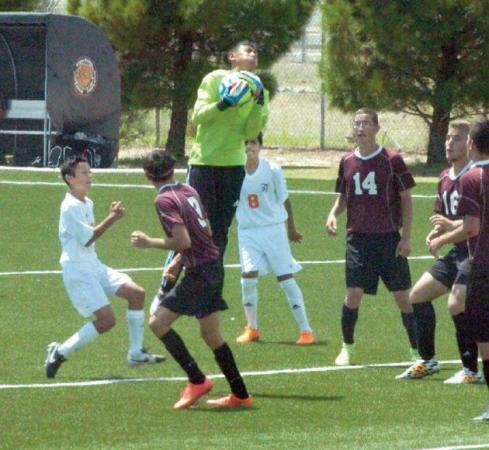 A direct free kick by the Eagles at the 23-minute mark was negated by a diving save from Artesia keeper Aaron Natera. Twenty seconds later, Belen’s goalie got a bit too nonchalant before clearing a ball and Chris Reyes made him pay, sprinting alone into the box toward the unsuspecting GK and firing the ball into the net for the gamewinner. The Bulldog defense stiffened from there as the Eagles tried desperately to answer, holding on for the 2-1 win. The Artesia boys will head east Tuesday for their first road game of the year at 6 p.m. versus Class 6A Hobbs before returning to The Mack at 2 p.m.
Saturday to take on Valencia.